From Astronomy Picture of the Day for 28/1/19. 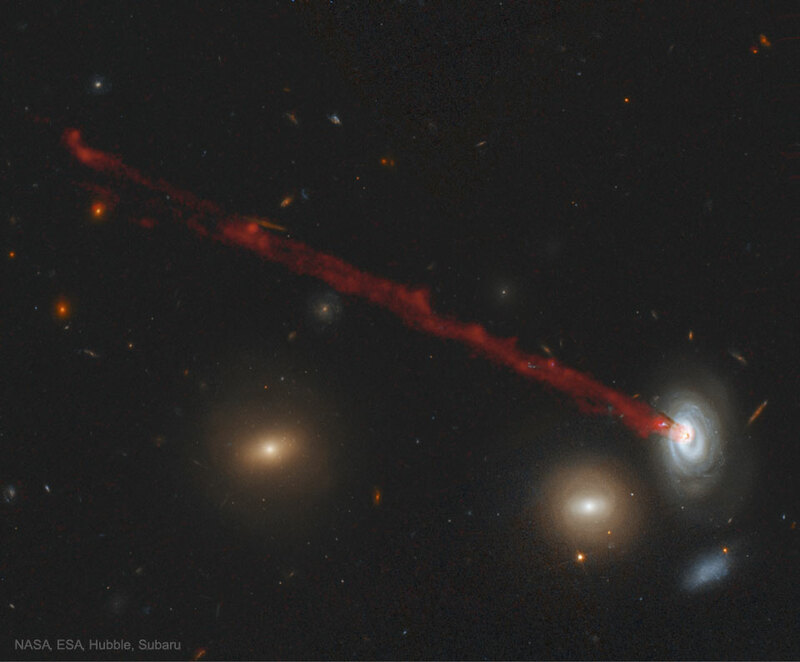 A pretty astonishing structure emanating from said galaxy. A long tail of gas. The gas has been stripped from the galaxy due to its passage through the hot gas in a cluster of galaxies.